Craig Liljestrand has extensive experience in the areas of toxic tort, products liability and environmental litigation. He is recognized for his litigation and trial skills in the areas of asbestos, silica, welding fumes, lead paint and occupational disease claims. His client base is expansive, and includes Fortune 500 companies in which he has successfully defended various industrial product and equipment manufacturers, contractors and premises owners in numerous toxic tort/environmental cases throughout the country. Mr. Liljestrand and his Team were recently victorious and made favorable new law in the Illinois Supreme Court on behalf of employers involved in toxic/ mass tort litigation. Mr. Liljestrand also has extensive experience with multi-district litigation (MDL), and is recognized for his ability to handle litigation that is national in jurisdiction. In addition, he counsels and advises clients on toxic tort issues in purchase and sale agreements for commercial real estate. 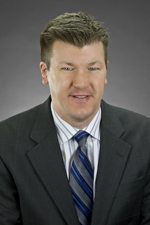 Mr. Liljestrand also is the regional counsel for a major industrial manufacturer. Mr. Liljestrand has been selected as an Illinois Super Lawyer every year since 2012. He has published a monthly column within the Chicago Daily Law Bulletin, entitled, "Toxic Tort Talk," for many years. He has served on the firm's Associate Evaluation Committee, Executive Committee and has also served as an instructor in the firm's training program for associate attorneys, Hinshaw University. Mr. Liljestrand is active professionally and is an active member of the Defense Research Institute. Before joining Hinshaw & Culbertson LLP, Mr. Liljestrand was a Judicial Law Clerk to the Honorable Doyle A. Rowland in the U.S. District Court for the Western District of Michigan. He was on the Executive Editorial Board for the law review (Software Law Journal) during law school. Folta v. Ferro Engineering, 43 N.E.3d 108 (IL. Sup. Ct. 2015). Motion to Dismiss. Plaintiff cannot sue former employer in tort in an asbestos/toxic tort action. Berry v. American Standard, Inc., 888 N.E.2d 740 (5th Dist. 2008). Summary Judgment. Denial of the use of deceased plaintiff’s discovery deposition as admissible evidence to defeat defendant's summary judgment motion. Mr. Liljestrand frequently publishes legal articles in the areas of toxic tort and environmental litigation. One of his articles was referenced and cited to by the Supreme Court of New Jersey in Matter of Musick, 143 N.J. 206, 670 A.2d 11 (1996). His article, "Silica and the 'Sophisticated User Doctrine' – Avoiding Legal Sand Traps under the Duty to Warn," was published as a chapter in "Exploring Toxic Tort and Environmental Liability Claims," by the Defense Research Institute in 2007. "And The Defense Wins! !," 3 DRI The Voice 10, March 10-16, 2004. Defense Victory Commentary for Viacom, Inc.